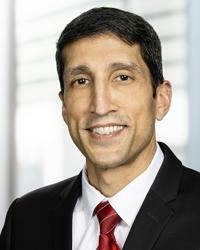 Dr. Pandit grew up in suburban Chicago and received his undergraduate degree at Yale University. After completing medical school at Rush University, he attended one of the top ophthalmology programs in the country, the University of Iowa Department of Ophthalmology and Visual Sciences. In 2002, he pursued an extra year of fellowship training in Cornea, External Diseases, and Refractive Surgery, obtaining advanced training in many types of surgery, including complex cataract surgery, corneal transplantation, LASIK and other forms of refractive surgery. He has been in practice in Houston since 2003. Dr. Pandit actively partakes in teaching at the local and national level. He is a member of the American Academy of Ophthalmology's (AAO) Ophthalmic News and Education (O.N.E.) Refractive Subcommittee. In this role, he helps provide updates and insight into the latest ophthalmology medical and surgical research to the AAO membership. Dr. Pandit has acted as principal investigator for clinical research trials, authored several papers, and lectures locally and nationally. He has been recognized as one of the top cataract surgeons in the country by Premier Surgeon magazine. He has published techniques for cataract surgery in peer-reviewed medical journals, and has been featured on Houston's ABC and Fox News channels.